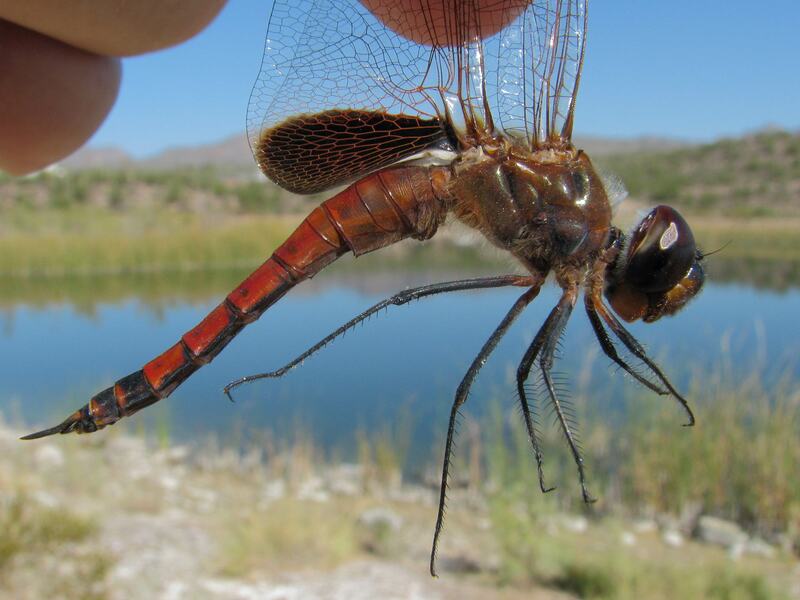 Sooty Saddlebags, Tramea binotata, in Maricopa Co.: Fourth Arizona record. 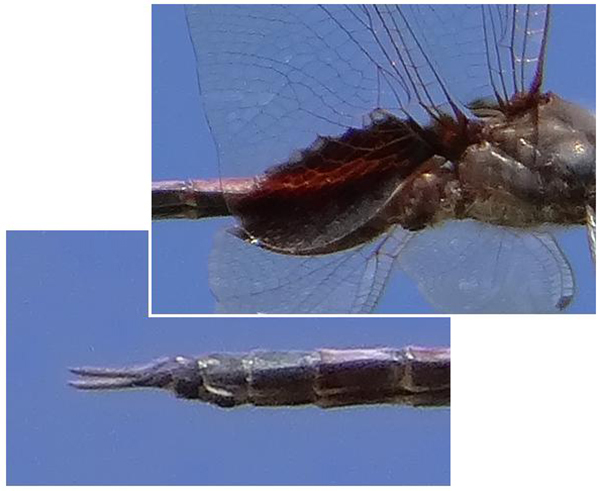 Sooty Saddlebags, Mature male (same as above): detail of thorax, hindwing patch, and appendages. Papago Park, Phoenix, Maricopa, AZ, 3 November 2012. Sooty Saddlebags, Immature male, Kearny Lake, Pinal, AZ, 11 October 2009. 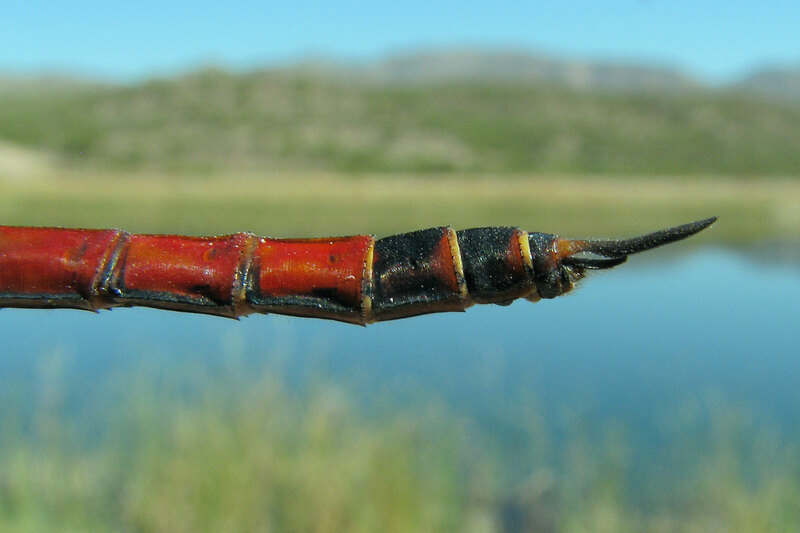 FOURTH US AND THIRD ARIZONA RECORD. 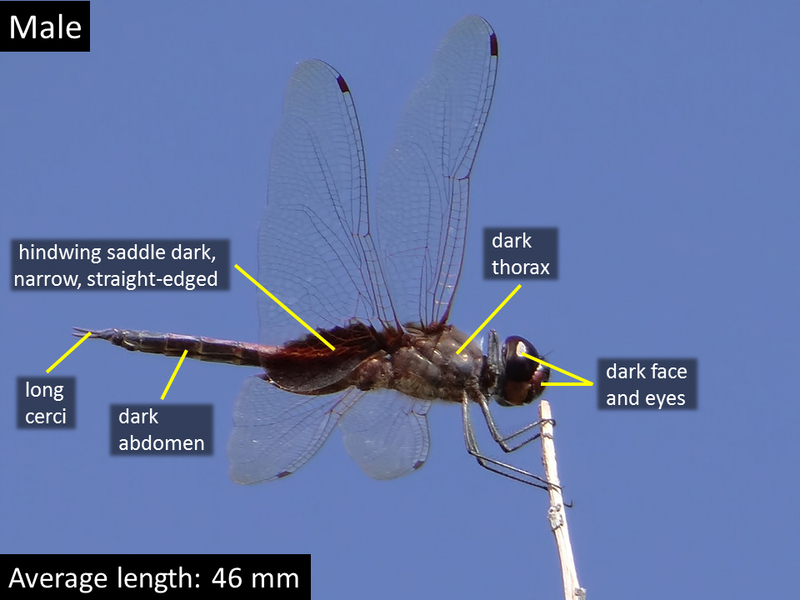 Note dark underside of abdomen and black abdominal segments 8-10. 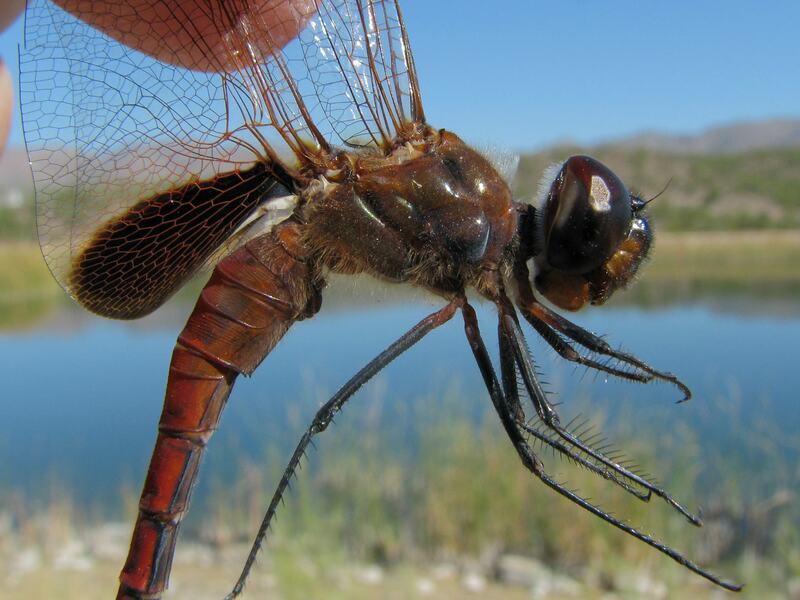 Sooty Saddlebags, Immature male (same as above), Kearny Lake, Pinal, AZ, 11 October 2009. Sooty Saddlebags, Immature male (same as above), Kearny Lake, Pinal, AZ, 11 October 2009: Lateral view of appendages. Note long cerci and almost completely black abdominal segments 8-10.